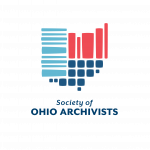 This Friday, March 29, 2019 is the deadline to submit photographs, documents and other graphical materials for the SOA Archives Month poster. Please consider submitting material(s) from your institution. This year’s theme is Small Steps, Giant Leaps: Ohio’s Role in Space Exploration, in honor of the 50th anniversary of the Apollo 11 moon landing on July 20, 1969. Your submissions should demonstrate a connection to Ohio or the contributions of its residents in the development of the technologies that lead to the Space Race and space exploration. Here’s your chance to highlight interesting, fun, and thought-provoking items from your collections! If interested in participating, please submit your images (limit of 3 per institution) to Melissa Dalton at mdalton@co.greene.oh.us by Friday, March 29, 2019. SOA members will have the opportunity to vote on their favorite entry between Monday, April 8, 2019 – Friday, April 26, 2019. This entry was posted in Advocacy and Outreach, Archives Month, News on March 26, 2019 by Andrew Harris.